This is one of the older pictures in the OldWillingham collection – estimated to be about 1900. It shows the large family of Mr. Ingle Few Thoday and his wife Emily. These are all well known Willingham names. Mr. Thoday established one of the largest and most successful nurseries on Long Lane (opposite the school) and the family lived in “the Vineyards” – the large house opposite the end of Silver Street. 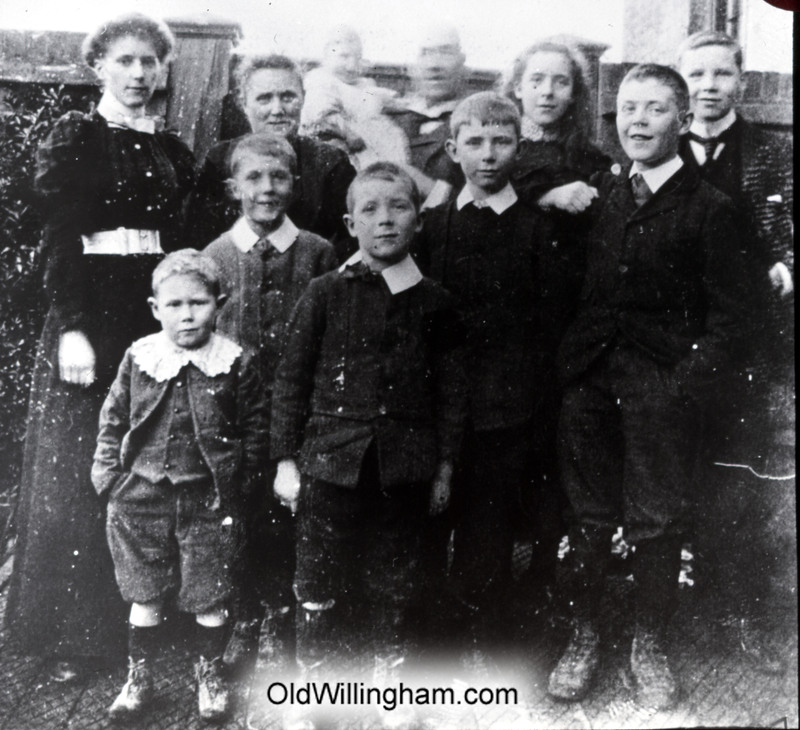 Sadly, two of the boys in the picture were destined to die in the First World War – Eric (child at front left) died in 1917 aged 27 and Redvers, the baby in the picture, died at the age of 18 – tragically he died from wounds a couple of weeks after the war had ended in November 1918.